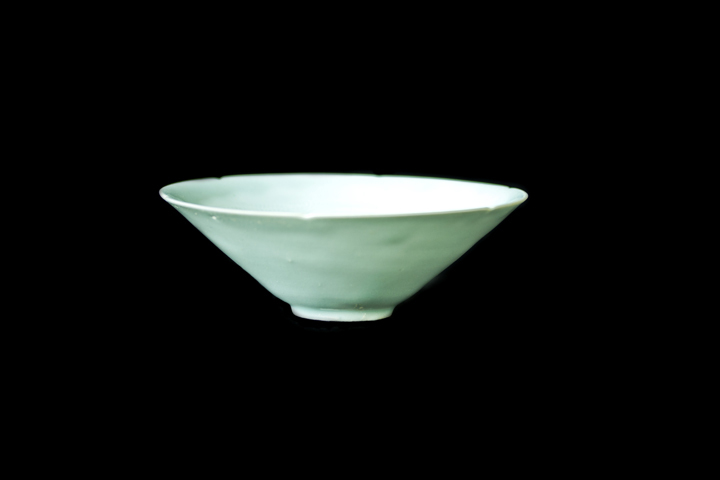 Appraisal: This bowl is an exquisite delicacy, beautiful and practical. 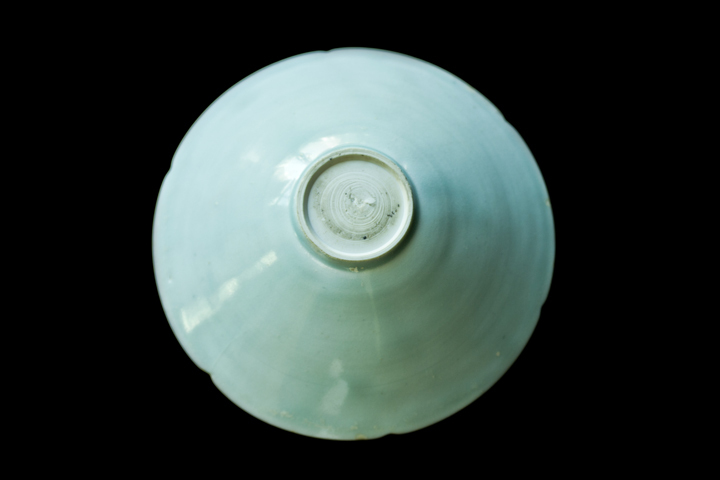 Its clay body texture and enamel glaze surface represent the highest level of Celadon Porcelain. 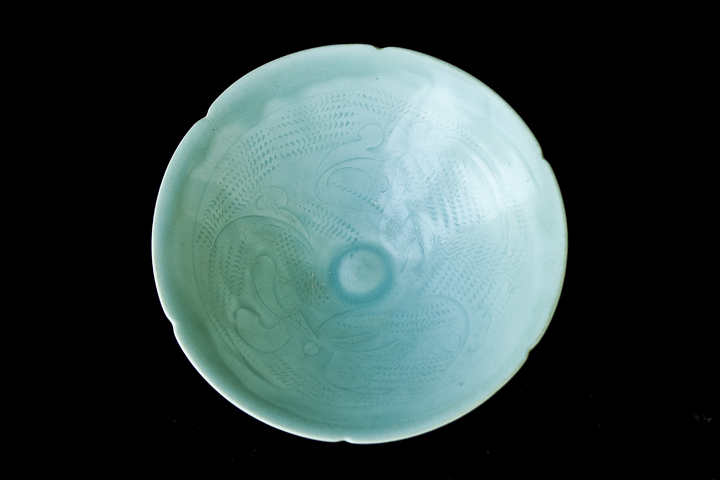 Free-form light engraving patterns using hop-knife technique is a very difficult process, producing a bowl shape and texture that are highly harmonious. 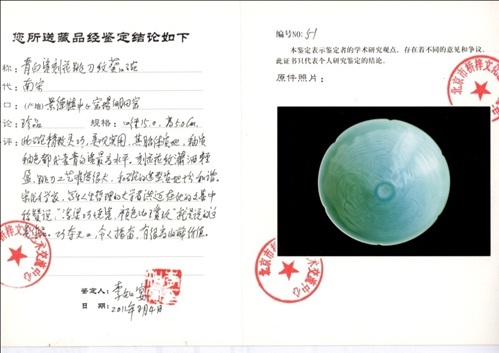 Song Dynasty poet, Hongmai, in his collection of essays, wrote on the philosophy of life: “Fuliang (Jingdezhen)’s ingenious celadon porcelain, the color is more beautiful than fine jade.” Intricate, marvelous creation that rivals nature, extremely high collection value.